The stabbing death of an opposition candidate in Ethiopia’s northern Tigray region is raising new calls for an inquiry and an easing of 2009 repressive legislation that critics say is restraining political activity in the weeks leading up to this year's 23 May general elections. Opposition figures contend that last week’s slaying of candidate Aregawi Gebreyohannes by five men at his home in Shire has aroused fears of a recurrence of 2005 post-election violence. As many as 200 protesters were killed five years ago by security forces, and thousands of others were arrested for challenging the results of a disputed nationwide vote. Senior East Africa Researcher Leslie Lefkow of human rights watch says that Aregawi Gebreyohannes’ slaying last Monday night was most likely politically motivated. “He was apparently arrested not long ago for distributing leaflets about his opposition party and had suffered other forms of intimidation. It seems to be largely because he was very active and was very vocal in his support of the opposition. He was going to stand for parliament from his constituency of Shire, where he was living,” said Lefkow. 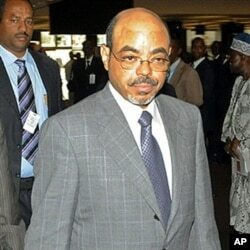 Although the government of Prime Minister Meles Zenawi prefers not to see a repeat of the vocal protests that followed the 2005 vote, Human Rights Watch and other concerned NGO’s say officials are determined to avoid raising domestic and international questions about whether the vote is going to be free and fair. “Beyond the violence the government is concerned that there is no negative attention to these elections, that there are no questions about whether the elections are free and fair. 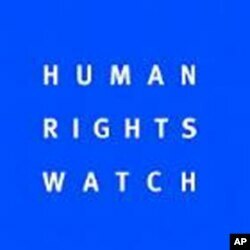 And that is a concern because Human Rights Watch has documented a degree of repression on independent voices that may contribute to making the elections less than a level playing field,” notes Lefkow. She says human rights groups are disappointed about legislation introduced last year in parliament that they say is designed to stifle independent activity by civil society groups in Ethiopia, clamp down on election media coverage, and limit acts of political protest, all under the pretext of government concerns about fighting terrorism. “One of the laws, the charities and societies proclamation, regulates nongovernmental organizations, and it has had a deeply worrying effect in the last six months, even. A lot of organizations have been forced to change their mandates to remove any kind of activity on human rights or governance from their mandates. There have also been insidious threats against leading activists, which have forced a number of them to flee the country. So overall, the environment is a bit grim for independent voices in the media and for NGO’s,” she said. Although prospects are dim that opposition campaigning will achieve its desired impact in just over two months’ time, East Africa researcher Lefkow says there are certain positive measures the Meles government can take to lessen the breach between government defenders and detractors. One step would be to release political prisoners, including prominent opposition leader Birtukan Mideksa, whose pardon for alleged acts of treason was revoked as she was rearrested and given a life prison term for failing to deliver a public apology for acts committed during the post-2005 campaign. Another helpful step would be for the government to issue public statements that it supports transparent investigations into allegations against the government. 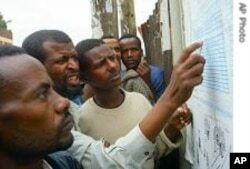 Lefkow says that though there are no signs that a conditions for 23 May voters in Ethiopia will be liberalized, the election will go on, despite the chilling signals being sent by last week’s political assassination and the tightening of campaign restrictions.